Walking through Northern Europe’s largest community of operative mountain farms will take you five days, with free-range livestock and a living cultural heritage along the way. No other areas in Northern Europe has as many active summer mountain farms as the valley Valdres in Oppland county. Throughout centuries, the people here have created a community where the symbiosis between nature and culture is of the essence. 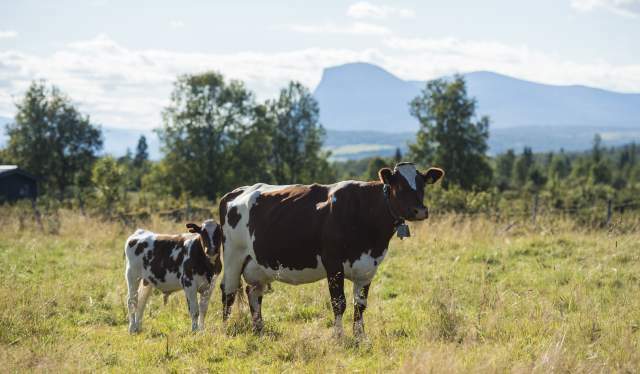 With cattle roaming the pastures surrounding the network of close to 200 farms (or “støler”, as they are called in this part of Norway), the area is characterized by a rich animal life, an abundance of cultural heritage sites and nature ranging from wetlands to mountain peaks. 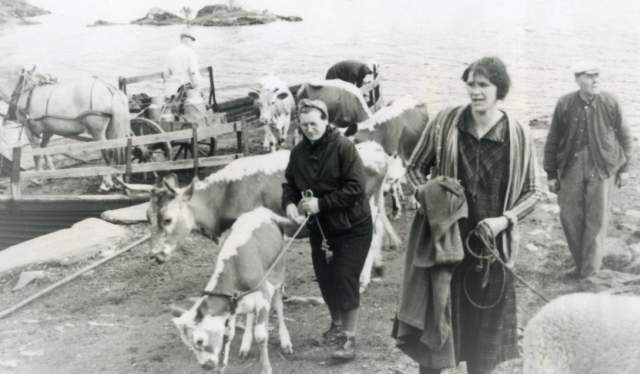 – Watching the animals roam freely in the mountains, and experiencing the vitality of the summer farms, is exciting to a lot of people, she tells Visit Norway. 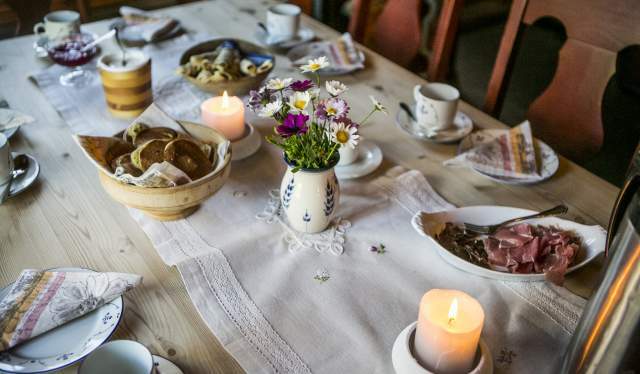 This one-of-a-kind cultural landscape is best taken in by foot – specifically across the Stølsvidda hills, where traces of hunting, iron production, haying and other human activity is spread throughout the route. This summer, the Directory of Cultural Heritage and DNT has included Stølsruta among the official Norwegian Historical Trails, a collaborative project which goal it is make old transport routes and trails better known and more used. – The cultural landscape of Stølsvidda is unique. Here are historical traces dating from the hunter-gatherer culture of the Stone Age to our time. It’s great that hikers now get to experience this landscape up close, says Leidulv Mydland, section director at the Directory of Cultural Heritage. The Stølsruta trail is 67 kilometres long, winding through a mainly open landscape at an altitude between 800 and 1000 metres, with birch forests, lakes and the occasional climb upwards 1150 metres. An ideal course for this hike – an experience suited for the whole family – is five days. It’s possible (and recommended!) to make detours along the way, whether it’s to immerse yourself in the cultural history of the area or simply enjoy nature and close encounters with animals. – The selected routes give you great outdoor experiences combined with a unique cultural heritage. Stølsruta is the kingdom of livestock, and people and animals have lived side by side here summer after summer, says Nils Øveraas, the general secretary of DNT. The first leg of Stølsruta starts in Tisleidalen and proceeds past Hermanstølen and Gaukli to Tyrishølt, where a spartan lodge with accommodation for eight visitors offers shelter and rest for tired feet. From here, you may make a detour to the Rognåstrøe farm, where the cows graze in the daytime and return for milking in the afternoon. Calves, lambs, pigs and rabbits are prone to greet visitors. The second stretch of the trips passes Revulen and Flyin, with the possibility of staying the night at Nøsen Yoga og Fjellhotell. The hotel arranges weekly yoga activities in beautiful and soothing surroundings. The third leg northwestward is characterized by a slightly steeper climb than the others. The hike proceeds toward the heights Noseknippa and Svenskeknippa at 1230 and 1315 metres above sea level, respectively, before the day ends by the farm commune Jaslangen. Here, the Jørn Hilme convention, Norway’s oldest folk music festival, takes place every summer. Day four continues through Flikja, past Kvitehaugen and onto the small commune of Strø, with a view to the protected botanical national park Helin Plantepark, which was founded in 1930. The marked path continues past the lake Midtre Syndin, where Syndinstøga is a popular place to stay the night. The ending leg proceeds to Gamle Kvam and Kvamskleiva, a part of the King’s Road over Filefjell, via Hugastølen in Vang. From there, you may descend to the main road E16 for public transportation, or ascend further to the summer farm Sørre Hemsing. Stølsruta is one of three new historical hikes launched this late summer. The two others are Reisadalen in Indre Troms, a historically important site for the area’s Sami and Kven population stretching through Reisa National Park, and the dramatic, lush western valley Aurlandsdalen in Sogn og Fjordane. 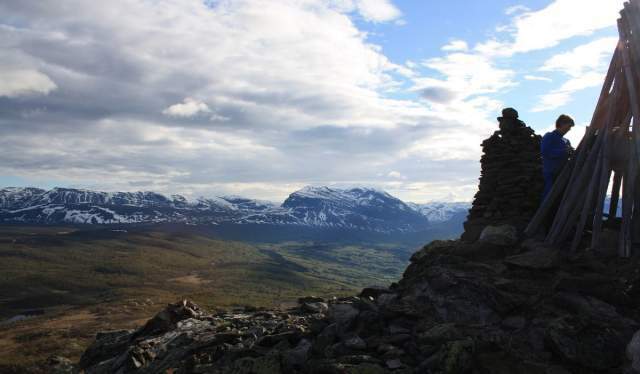 Other established historical hikes include Jotunheimen, the old bridal procession route Brudleruta in Vest-Agder, Telegrafruta over the Saltfjellet mountain and Flyktningeruta from Oslo to Sweden, which was used as an escape route during World War II. What they have in common is the combination of a vibrant cultural history and magical nature – and the objective of making new generations discover both. When photographer Lars Korvald ducked into the lake, he found ruins, a magic forest and the story of one hyperlocal apocalypse.